¡MAYDAY!’s Take Me To Your Leader wasn’t the only album making waves in the hip hop community this week. E-40’s ambitious three disc release, The Block Brochure: Welcome To The Soil 1,2, 3, had everyone turning up the volume – even Tech N9ne! While in Tulsa, OK for the “Hostile Takeover 2o12″ Tour, Tech N9ne hit a local Best Buy to support his peer and friend E-40 by purchasing all three volumes of The Block Brochure series. Fans may already be aware that the Kansas City King actually appears on two different songs,“Scorpio” and “Zombie” with Brotha Lynch Hung, on Welcome To The Soil 2. With so much history together, it’s only fitting that Tech N9ne shows the Bay Area Ambassador some love. Have you heard E-40’s new release yet? 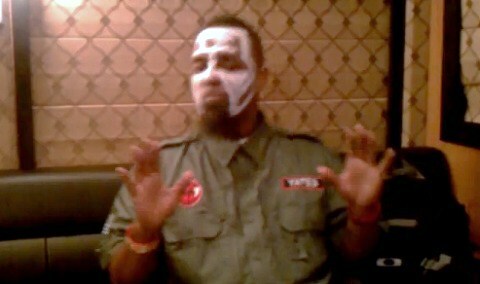 What did you think of Tech N9ne’s appearances?